Deer feed on a wide variety of flowers, trees and shrubs. While deer favor certain plants, any plant or shrub may be eaten if they are hungry. Preventing damage is best accomplished with fencing and deer repellents. Begonias are commonly found in home gardens, but are a preferred food source for deer and often suffer extensive damage. Hardy begonia is an herbaceous perennial that belongs to the Begoniaceae family. This flower typically reaches 2 inches in height and produces clusters of white and pink flowers. 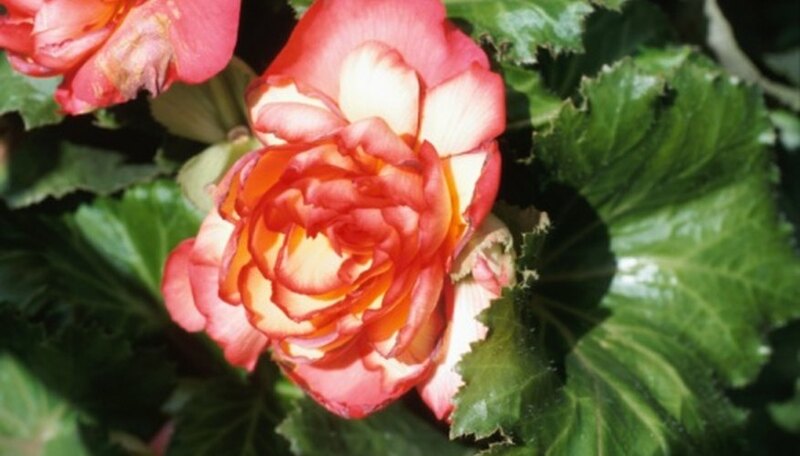 Hardy begonia is not winter hardy, but it is resistant to insects and diseases. Deer often feed on the flower buds of hardy begonia, causing it to become unsightly. Rutgers University rates it in the "occasionally severely damaged" by deer category, which means it still needs protection from fencing and repellents. Wax begonia is an herbaceous perennial and a member of the Begoniaceae family. Thriving in full sun to partial shade, wax begonia produces colorful blooms in shades of red, white and pink. Some wax begonia are bicolor as well. Wax begonia is susceptible to damage from mealybugs and thrips and are a preferred food source for deer. Wax begonia are occasionally browsed by deer and should only be planted with additional sources of protection. While there are no fully deer-resistant begonias, a variety of other perennials are damaged less often. According to Oregon State University, some plants that are more resistant to deer browsing than begonias are California fuchsia, basin sagebrush, columbine, hellebore, snowflake, nolina, hedgehog thistle and New Zealand flax. Other plants are deer-resistant because they are poisonous and deer avoid them, such as foxglove, lupine, daffodil, century plant and larkspur. Controlling damage to your begonias and other landscape plants is best accomplished by placing a fence around your property. Deer-proof fences must be at least 8 feet in height to keep deer out and should be constructed of heavy-duty woven wire. Some homeowners also add electricity to their fence to keep deer out of their yards and gardens. Deer repellents work by spraying them directly on plants to discourage deer feeding. Oregon State University; Deer Resistant Ornamental Plants; J. L. Horton, et al.